This review originally ran during Thrillist's coverage of the Sundance Film Festival. The Hole in the Ground is now available on DirecTV, VOD, and in select theaters. Early in The Hole in the Ground, the debut horror feature from director Lee Cronin, a wide-eyed child makes funny faces in a mirror during a long car ride. One of the boy's favorite activities is to play a game with his mother Sarah (Seána Kerslake) where the two count down from five and then suddenly distort their appearances by wrinkling their noses, sticking out their tongues, and furrowing their brows. Then they stare at each other with these gruesome expressions, waiting to see who will break into fits of laughter first. As a filmmaker, Cronin is playing a similar game with the audience: He draws out tension in each scene, pummels the viewer with music, and dares you to break your gaze -- or giggle in fright. As a storytelling method, it's not exactly novel for a horror movie, particularly one debuting in the Midnight Section of the Sundance Film Festival, which has given us films like The Babadook, The Witch, and last year's Hereditary. 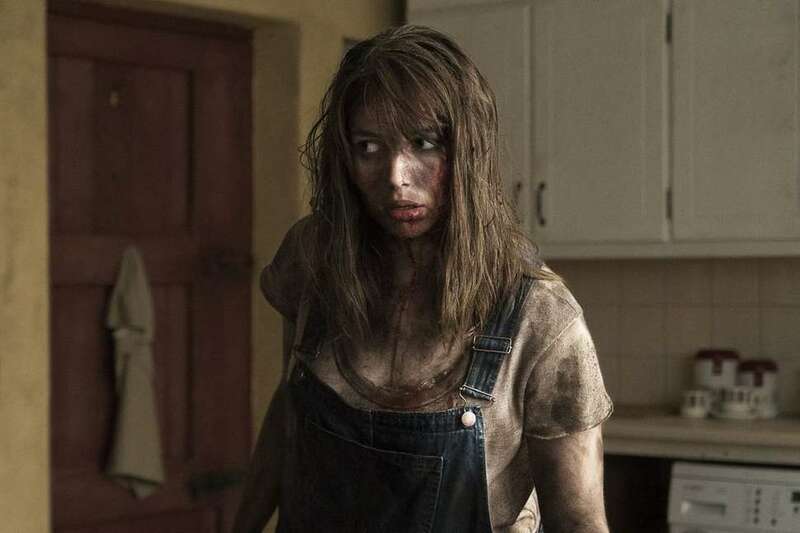 Like that Paimon-worshipping, Toni Collette-starring arthouse hit, The Hole in the Ground comes from noted indie distributor A24, who released the film via DirectTV on January 31 and in select theaters in March, and it also features a terrifying child at its center. That's where the similarities end: Where Hereditary had an absurd sense of humor and an austere style, The Hole in the Ground takes a more head-down, meat-and-potatoes approach to the genre. It might not linger in the imagination as long, but it delivers effective scares throughout and -- most importantly -- never lets up. That's why it's already one of the best horror movies of 2019. As soon as Sarah and her son Chris (James Quinn Markey) arrive in the their seemingly peaceful, sleepy new home, they find that this won't be the idyllic change of pace they were hoping for. (Sarah has a scar on her forehead, which she covers with her long red hair, and it's implied the pair are fleeing an abusive father.) What's so unsettling about the town? Besides the stillness of all the natural beauty, there's a frightening old woman (Kati Outinen) who wanders the streets in tatters, placing herself in front of moving vehicles like a protestor without a picket sign. Inevitably, she's got a backstory that gives you a pretty clear indication of where Sarah's journey as a mother is headed, but Cronin and his co-writer Stephen Shields tease out Chris's transformation into a bad seed with skill and patience. Plus, as the title promises, there's a gaping void the size of a dozen football fields in the forest near Sarah and Chris's new lodgings. Its origins and purpose remain opaque for most of the film: Is the hole a product of Sarah's damaged psyche or an actual physical aberration in the terrain? Either way, it's a potent yet ambiguous visual metaphor, one that invites multiple readings but never insists on a single interpretation. Similarly, Cronin uses clever establishing close-ups of other holes -- coffee stirring in a cup, water circling a drain, spaghetti filling a child's grubby mouth -- to create connections between scenes. When it comes time for Sarah to dig deeper into the dirt, you're ready to follow her into the abyss. The Hole in the Ground is certainly not the first horror film to poke and prod at parental anxieties. 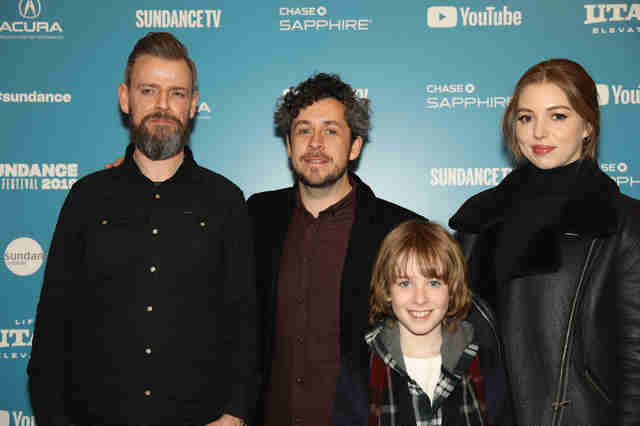 Even in the Midnight section at Sundance this year, there are at least two other films working in the same thematic zone: The Lodge, a step-mother-in-crisis scare-fest with obvious affection for The Shining, and Little Monsters, a Shaun of the Dead-like zombie comedy set in Australia. Both wrestle with questions about the responsibility of leading a family unit. The Lodge, the follow-up feature from the team behind 2014's Goodnight Mommy, frames the issue in stark, violent terms, using cults and mental illness as plot devices to examine Riley Keough's character's unravelling. Little Monsters, which stars Lupita Nyong'o as a school teacher tasked with defending her class during an attack from the undead, has a touch of optimism to it. Still, neither will inspire viewers to start a family any time soon. Of the three, The Hole in the Ground has the most fertile soil. A large part of the credit must go to Kerslake, who brings a vulnerability and tenderness to her troubled mother, and the young child actor Markey, who channels Haley Joel Osment's work in The Sixth Sense with his tentative movements. Even when Chris is combing his hair like a robot or singing a skin-crawling folk song at a school recital, you want him to be pulled back from the brink. In that crucial way, the movie understands a key part of this sub-genre: The child can't be a lost cause. If the creepy kid isn't worth saving, then what's the point?